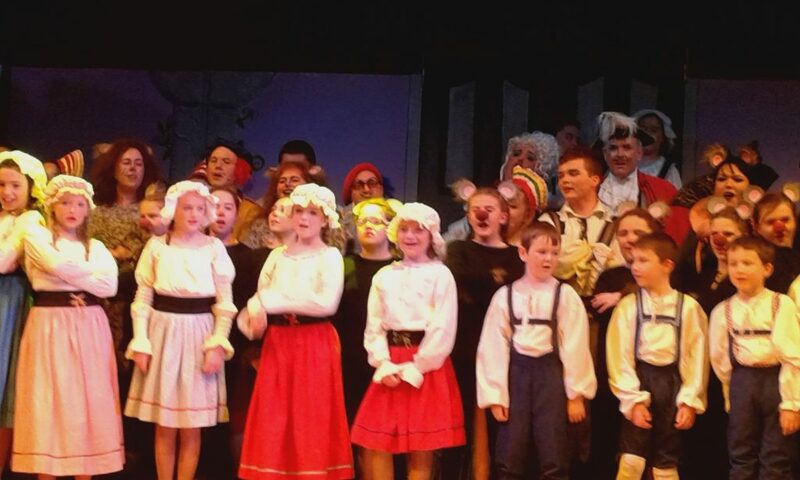 Workshop/auditions for Roundwood Variety Group’s upcoming panto “Snow White and Babes In The Wood” will take place on Sunday 2nd and 9th October in Roundwood Parish Hall & Centre. Primary school children (8 years upwards) will be from 5 to 6pm. Teens/adults from 6 to 7pm. Rehearsals will start on Oct 11th (Tues and Thurs evenings onwards). If anyone has any Roundwood Variety Group costumes could they please contact Maria on 087 2060369. 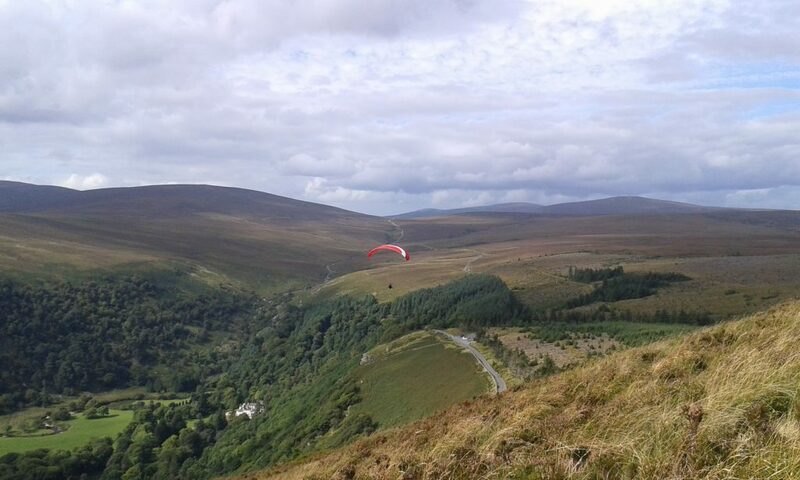 Takes place in the Glenealo Valley in Glendalough from 11am to 4pm Saturday 8th of October. Wicklow is home to a large population of wild deer. They are particularly impressive at this time of year when they ‘rut’. Wicklow Mountains National Park staff shall have telescopes set up on the Spinc walking trail where all are welcome to stop by, view the deer through the telescopes and discuss the deer and their ecology. To reach the telescopes please follow the Spinc walking trail (white arrows) in Glendalough. Participants are advised to visit to the Information Office (Upper Lake, Glendalough) to get directions before setting out. Please note that the Spinc trail takes 3 hours and that participants will not be escorted on the hike. All are welcome, although the hike may be too long for young children. Hiking boots and rain gear are recommended. Do bring binoculars if you have them. All dogs must be kept on leads. This event is free of charge, but please be aware that the Upper Lake car park (Wicklow Co. Co.) has a €4 charge. Booking is not necessary. For more information, please phone 0404 45656 (Monday to Friday) or 0404 45425 (weekends). Fresh from their recent, strong performance on Culture Night in the Dominican Convent, the members of Avondale Voices Community Choir are excited about starting a whole new repertoire for the coming year. This is a great time to join up, if you are not a member already! Come, sing, relax and have fun with us. Membership is open to all and the choir always welcomes new people. Rehearsals are held in Ballinatone Hall, near Ballinaclash from 7.30 – 9.30 p.m. on Wednesdays. There is no audition required. Anyone interested in joining the choir can ring Nicola on 086 8260919. Another clothes recycle will take place on Friday the 7th of October, the following will be excepted Clothes/bed linen/ towels/ shoes There will be a drop off on Thursday the 6th of October at the school between 6-8pm please contact Joanne @ 0879389894 if you have any questions! Taking 1st place for North/South on Friday 23rd September were Monica Brady and June Digby, 2nd Margaret Bolger and Noeleen Redmond and 3rd Seamus Kennedy and Jim McNamara. 1st place for East/West were Mary Murphy and Kay Plunkett, 2nd Ger lenihan and Paddy O Brien and 3rd Miriam Coyle and Gertie Fee. The Roundwood and District Historical Society will hold a number of talks starting on Tuesday Oct 4th at. entitled ‘Walter de Ridelesford: the background to the ‘Strongbow’ grant of AD 1173′.The talk will discuss the period prior to and after King Henry’s return to Britan from Ireland. Strongbow had been granted large tracts of lands along the east of the country and as Lord of Leinster divided the lands of the Leinster Irish among his leading followers. In Wicklow the main beneficiary of Strongbow’s largesse was his companion Walter De Riddlesford who acquired substantial lands in the borderlands of western Wicklow stretching from Hacketstown into Imaal as well as the large manor of Bray. The talk will be given by David McIlreavy who graduated from Queens University, Belfast in 2000 in History and Social Anthropology and an MA in Irish History in 2001. David McIlreavy has over 10 years experience in both private and public sector archaeology, having worked for the Archaeological Services Unit (University College Cork) and the Centre for Archaeological Fieldwork (QUB) Davids research interests include the history and archaeology of the Earldom of Ulster and the medieval manor of Bray. Admission €3.00 Our Society welcomes new members . Then on Tuesday Nov 1st at 20.00 with Speaker – Dr Neil Carlin talking on ‘People, Places and Things: the life stories of Beaker polypod bowls in Ireland’ We look forward to seeing you at the first talk on Tues 4th Oct, which will provide a fascinating historical insight into how the town of Bray and it’s surrounding estates came about. It is our intention to arrange further talks for early 2017 and once speakers are confirmed we will forward dates and details to you. All talks take place in the Parish Hall and commence at 8pm. We have also provisionally arranged our annual Christmas dinner to take place in the Roundwood Inn on Friday, December 9th – more details later. Is there an area near you which could do with a bit of a tidy up? The Tidy Towns group are appealing to residents throughout the Parish to adopt even a small area with a view to maintaining it – even for just one year. If you can identify a spot & have some ideas on how to improve it, please contact Terry on 087 2551579 or email info@roundwood.ie where necessary support will be given if required. Every little helps! An Tóchar GAA is getting to the end of its building project. In 2017 we plan to open a GYM which will be for the use of everyone in the community. This year we are selling ‘bricks’ to minimise the debt on the club. Bricks cost from €50 to €1000 . Full details on antochargaa.ie , If you can help us please contact any parent or player at the club. Please support us as we try improve facilities for the whole community. The next whist will be on tonight 28th September in The Parish Centre. Set Dancing continues every Thursday night in Kavanagh’s Lounge from 9pm til 11pm with music this month by the O’Kane family. Come along and join us for a night of good fun, great exercise and a very social night out. Also we will be giving jiving lessons starting on Thurs 29th September at 8.30pm before our weekly set dancing session. All are welcome to these lessons.Newcomers always welcome and great way to meet some locals. Cost for night of dancing and entertainment is still only €5. This entry was posted in News & Events on September 26, 2016 by roundwoodiewicklow. On Saturday 24th September 2016 at 12.00 noon a monument commemorating the 1916 Rising and the men and women of previous generations who lost their lives in the struggle for Irish freedom and independence will be unveiled at the Garda Station in Roundwood by children from Roundwood and Moneystown National Schools. The monument, which is an exact replica in detail of the Proclamation , together with profiles of the seven signatories, is cast in bronze and is mounted on local granite. It is the excellent and exceptional work of local artist Ciaran Patterson. The 1916 Committee of Roundwood and District Historical and Folklore Society invites everyone to attend this important commemoration and unveiling of the 1916 monument and wishes to thank all those who contributed in many ways to this event Minister Simon Harris TD, will attend the ceremony and the unveiling will be carried out by local school children. Light refreshments will be served afterwards in the Roundwood Parish Hall. If anyone has any Roundwood Variety Group costumes could they please contact Maria on 087 2060369. A meeting for those interested in setting up a Men’s shed in the Roundwood area will take place in Aras an Tochar on Monday the 26th of September at 7pm. Roundwood Pharmacy are celebrating 10 years in the village and are thrilled to announce a great week ahead for all their loyal customers in the area! They are giving away a hamper every day from Monday (September 19th) to Saturday in store only to say thank you to all their customers who they greatly appreciate. Details of the giveaways each day will be on the Roundwood Pharmacy Facebook page – but the giveaways will happen in the Pharmacy! So do drop in – it could be your lucky day! The results of the whist is as follows:- Top Score: Jimmy Molloy; Top Gent Tom McHugh & Tiney Shortt (shared); Top Lady: Monica Brady (shared); First Half: Magdaline Kennedy; Second Half: Kitty Kennedy; Lowest Score: Anne Pierce & Longest Sitting: Mary Pierce. Raffle prizes were won by Mary Cullen, Patricia Byrne, Tiney Shortt & Mary Pierce. Next whist will be on Wednesday 28th September in the Parish Centre. This entry was posted in News & Events on September 19, 2016 by roundwoodiewicklow. On Saturday 24th September 2016 at 12.00 noon a monument commemorating the 1916 Rising and the men and women of previous generations who lost their lives in the struggle for Irish freedom and independence will be unveiled at the Garda Station in Roundwood by children from Roundwood and Moneystown National Schools. The monument, which is an exact replica in detail of the Proclamation , together with profiles of the seven signatories, is cast in bronze and is mounted on local granite. It is the excellent and exceptional work of local artist Ciaran Patterson. The 1916 Committee of Roundwood and District Historical and Folklore Society invites everyone to attend this important commemoration and unveiling of the 1916 monument and wishes to thank all those who contributed in many ways to this event. This entry was posted in News & Events on September 16, 2016 by roundwoodiewicklow.